"In 2006 I had a chance to attend my first Soul Yoga fest where I met Yirser Ra Hotep for the first time and took the yogaskills method class. It was exhilarating. As I moved with my breath I could feel waves of energetic awakenings occurring. I had been teaching Kemetic yoga for years but this added a bio-energetic dimension that floored me. I was being reborn energetically. It has been the hallmark of my personal practice and teaching ever since. Shekem or life force equates to power and that's what we need more of to accomplish our desires and fulfill our destinies. What Master Hotep gives us is so subtle, so simple that some may not get how powerful it is on the journey of self mastery, but as a marketing consultant I know we are ruled over purely by the manipulation of our energies. This could only happen when our life force is weakened by stress, disease and poor dietary habits. Master Hotep puts the power and the skills back in our hands. It is up to us to embrace our ancestral science for transformation. Hetep di si Neter iri mettu waddj! May the divine cause your life to flourish!" "I have tried many styles of yoga on my journey of self-mastery, but nothing has compared to the YogaSkills method experience. It is a true uplifting of energy and spirit. It teaches the real value of life by bringing you back to the breath. It is a life renewing experience with each breath and each pose. Maat Ka is my favorite Kemetic sequence. For me it signifies royalty, poise, strength, rejuvenation, and it gives my chakras an energy boost! I had been a person of fast pace for so long before I was certified, and it was difficult at first to embrace the Yogaskills Method. I wanted to move through the poses quickly and apply force when it was not needed. I remember observing Master Hotep as he was the opposite; laid back, never in a hurry and always had a sense of calm about his demeanor. One day it finally made sense. Once I started to slow down and enjoy more of life, I could feel the power. It taught me the lesson of awareness, mindfulness and how to enjoy life one breath at a time. "Never really connecting with various classes of various and different yoga styles, Kemetic Yoga changed my comprehension of what Yoga is all about and what it can do for me. Through Kemetic yoga I was for the first time able to connect to the spirit and wisdom of our ancestors, working and oxygenizing each cell and muscle within my body and to dwell in and get back into contact with the debts of my soul. The different aspects of Kemetic Yoga are a holistically healing method and practicing it everyday is gradually transforming my life. My breath has become so much deeper, I am dealing with stress a bit better everyday, my inner focus is sharpened and I am more effective in my time management, apart of course from getting physically more fit and toned. My extremely stressful life as a business owner is constantly improving, since I have now embarked on the journey of Kemetic Yoga including a vegan diet and transforming my thought patterns gradually. There are simply no words to express the gratitude to Yirser and our ancient foremothers and forefathers for this incredible blessing we can receive everyday." ''The Kemetic Yoga Teacher Training experience is indeed an enlightening one. Every moment is thoroughly engaging and enriching for the whole being. What I enjoyed most about the training is that it was very wholistic. The Yoga Skills method incorporates elements of lifestyle, breathing, postures, mental and spiritual balance. Understanding Kemetic Yoga has helped me to develop my personal practice as well as enhance my skills as an instructor. My experience was fulfilling & I would recommend anyone who is searching for harmony, health, and strength to participate in this training." 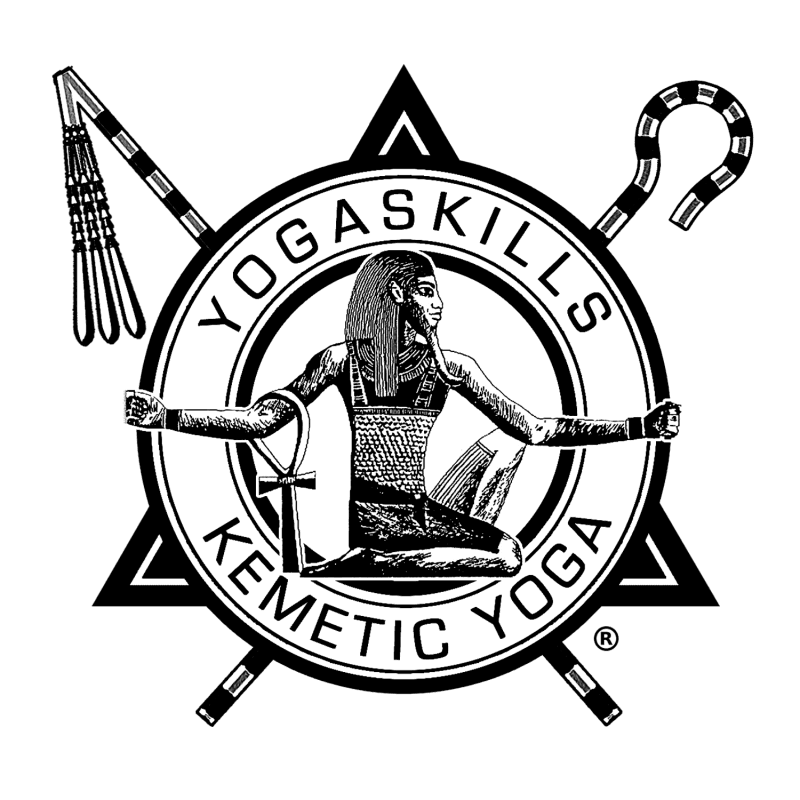 ''The YogaSkills Kemetic Yoga Training was a transformative 10 days! I experienced healing on so many levels. Practicing Yoga daily, under the healing rays of the Sun strengthened my body, balanced my mind and rejuvenated my soul. Yirser is both authentic and knowledgeable, bringing a wealth of essential knowledge for any teacher or practitioner of Yoga. I recommend Kemetic Yoga to all as we all require healing." "For the past 12 years - the lifespan of my Kemetic Yoga journey - gradual yet dramatic changes in my life have been observed by not only myself but also by others both close to and far from me. From the first day that I learned about a man of African descent (Yirser Ra Hotep) teaching a yoga discipline based on an African perspective (YogaSkills Method of Kemetic Yoga) - I was hooked! I had been practicing hatha yoga off and on for about 25 years before - never finding the 'right' teacher for me. From his first class up through today, I have attended every class, workshop, retreat that I could and have always been amazed at how much I still have to learn from Yirser. Following his scientific and methodical approach has helped me to create a firm, knowledgeable foundation that expands with each encounter and through my personal, internal self-discoveries that have developed with my practice. Now my children no longer call me "frantic antic", and have even joined me in classes and meditation. Today, most people after meeting me, tell me how peaceful I am. If they had met me a few years ago (or catch me on a 'bad ' day), they would hardly believe I am the same person. I became a 500 hour certified instructor and have been blessed to support the journeys of other students on this life-enhancing odyssey." ''Kemetic Yoga has changed my life. It is an amazing system of yoga. I had exposure to yoga before but it wasn't until going to Jamaica and learning Kemetic Yoga from Master teacher Yirser Ra Hotep that my path in life became clear. Since becoming certified, I have not only discovered new things about self but have spawned a new career. It's really rewarding to share Kemetic yoga with others, for you know you are truly helping others feel better. I am so grateful and would recommend Yoga Skills, Yirser Ra Hotep, Kemetic Yoga to anyone serious about healing themselves and serious about wanting to help others heal!" "Yoga skills Kemetic Yoga Teacher training is a superior course both in practice and theory. I have experienced other courses but this is the one that I would recommend to anyone who wants to be an advanced practitioner & teacher." "In 2011 I decided to become a Yoga instructor in order to share the physical benefits of Yoga. After an exhaustive search for the right training, Kemetic Yoga revealed itself perfectly to me. While I was in tune with the physical benefits of Yoga, Kemetic Yoga philosophy connected me to myself and my culture in ways that I would not have experienced in other trainings. From this connection, I've come to know myself, my gifts and my value intimately. The benefits of my training not only extend to my professional life as a Yoga instructor and Holistic Life Coach, but to my personal life as well. Yirser's knowledge and passion for Kemetic Yoga has a way of guiding his students to take the lead in their lives and to live without fear. Words will never express my gratitude to Yirser for his work in bringing Kemetic Yoga to a new generation of healers." "I attended Yirser Ra Hotep’s Kemetic Yoga Retreat in Montego Bay in January 2013. It was an amazing journey because my experience of practicing yoga was minimal. I joined because I wanted to learn about yoga as a way to better health in keeping my body flexible. As a fuller figured mature woman the learning put me through my paces. It was very difficult; maybe the most challenging sustained activity that I have ever done on a physical, emotional and psychological level. I benefited most of all from the love and support of the other practitioners and the Master, Yirser. Without the love and support I could not have seen it through. I would like to attend another retreat and I have recommended this Yoga Retreat to many far and wide."